How One Military Member Packed On Some Serious Body Armor—Muscle! Ismael began lifting in high school for sports, but it wasn't until he joined the Navy that he began taking his training seriously. It wasn't long before he decided to compete. During high school I would always lift, but because we had to for sports. 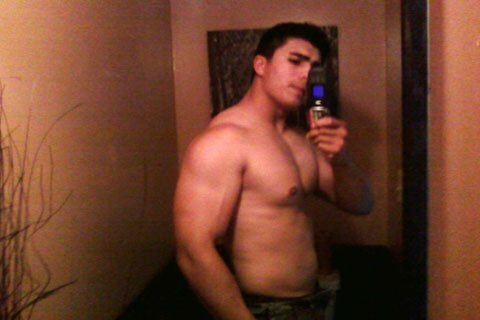 Freshman year I weighed 120lbs and no more. Throughout high school it became routine to workout even after class. I&apos;d always lift with the linemen, one of whom is still my best friend. Every day of the week we&apos;d go to his grandpa&apos;s gym in the basement and lift. Once I got to the Navy, I became more serious about it and after I was introduced to personal training I did a bodybuilding show. I would say getting yelled at for things that don&apos;t matter in my eyes and not being able to do anything back to that person. Leaving my home town to live across the country was also difficult at first; I&apos;m close to my mom and grandmother. No one said it would be easy, but it helped me to grow up in a sense. helped me to grow up in a sense. Not being able to eat when you try to have a diet plan. 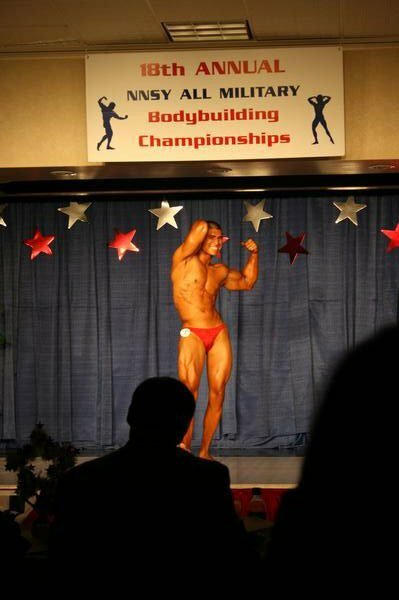 When I competed in my first show I was living on the ship, so every meal I had was difficult to make unless I went to a buddy&apos;s house to prep food the day before. During that time tuna became my best friend, id just run it under water to get the excess sodium out and there was a meal with rice cakes. Military lifestyle itself is simple to adjust to, but you find out that it&apos;s not for everyone. In boot camp those that were hard at following directions were sent back a class or kicked out. Abs, calves and forearms are trained every other day. I order everything through Optimum; I&apos;m a firm believer in their product. I plan to continue adding mass then cut down for a show in a couple years. Right now I am taking a great interest in powerlifting. I&apos;ve added some fat along with my weight gain, but my strength has shot up with heavy lifting. It would be nice to get partial sponsorship one day, but no matter what I will always continue to bodybuild. cut down for a show in a couple years. Franco Columbu, Frank Zane, Dorian Yates, and Tom Platz. Number one key is motivation. Anyone can say they will get back in shape, but doing it is a whole other field of effort. Training is the easy part of bodybuilding, it&apos;s the diet that every falls short on. Stay disciplined and results will show.